The (Wacky) World According to John Hodgman Writer John Hodgman expounds on a variety of fascinating and sublimely ridiculous subjects — historical, literary and hobo — in his book The Areas of My Expertise. John Hodgman expounds on "matters historical, matters literary, matters cryptozoological, hobo matters, food, drink and cheese (a kind of food), squirrels and lobsters and eels, haircuts, Utopia, what will happen in the future and most other subjects" in his book, The Areas of My Expertise. 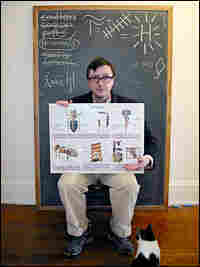 John Hodgman is a very funny man. The writer and humorist is a sometime contributor to the public radio show This American Life and cable television's The Daily Show. Currently, he is getting even more TV exposure in an ad campaign for Apple computers, in which he plays a tweedy, lumpy and awkward PC opposite a relaxed, cool, slim young man, who is a Mac. 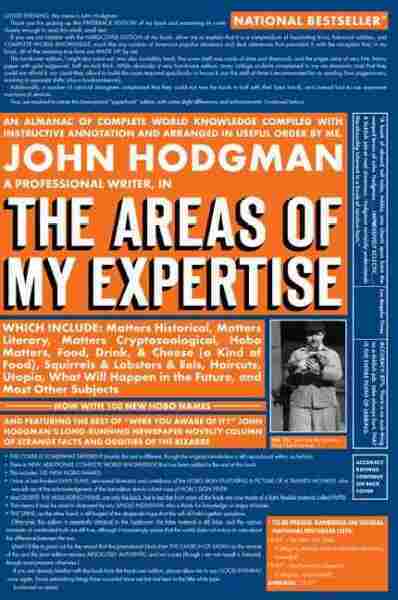 Hodgman is also author of The Areas of My Expertise -- an almanac of random, fascinating and utterly unreliable information -- which is coming out in paperback. A Yale-educated, former literary agent, Hodgman has the gift of being outrageously but quietly convincing. He begins at the absolute outer edge of credibility and, as if he is holding your hand, walks you over the edge into a very funny mix of reality and nonsense. Take hobos, for instance -- or as Hodgman refers to it, the "hobo movement in the United States." He discusses at length hobo hieroglyphics, the only hobo Cabinet member in U.S. history and Walker Evans, who Hodgman describes as being a secret agent posing as a photographer in order to assassinate prominent hobo leaders.